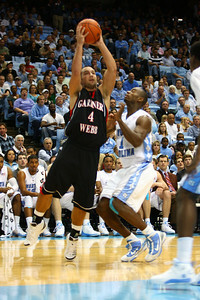 Gardner-Webb played a 3 point shot game as Josh Henley soars over UNC for a solid shot attempt. 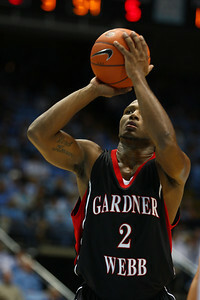 Gardner-Webb Runnin' Bulldogs play hard against 11th ranked UNC with a final score of 93-72. 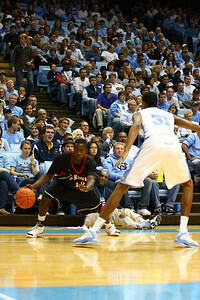 Auryn MacMillan receives immense pressure from Chapel Hill's Ed Davis. Size was a major difference between the two teams. 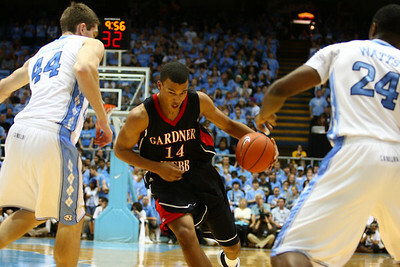 Brian McNair brings the ball down court in hopes to narrow the point lead during the first half. GWU's Grayson Flittner dominated the game with the most points on the scoreboard. After a quick pass into the open C.J. Hailey attempts a 3 pointer. 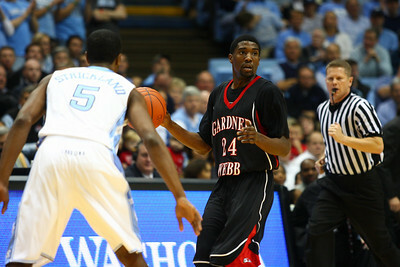 GWU's Auryn MacMillan, one of the tallest players, even had a hard time keeping UNC grounded. 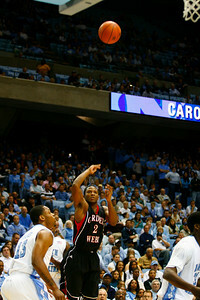 Josh Henley attempts a closer 2 pointer. Anton Silver stays low and quick to avoid oncoming John Henson. 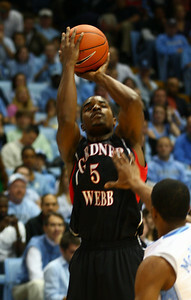 The Runnin' Bulldogs played a fierce game which equalled a lot of contact and fouls. Thomas Staton will do what it takes to push through UNC's defense. Luke Engelken does an excellent job keeping UNC at bay.